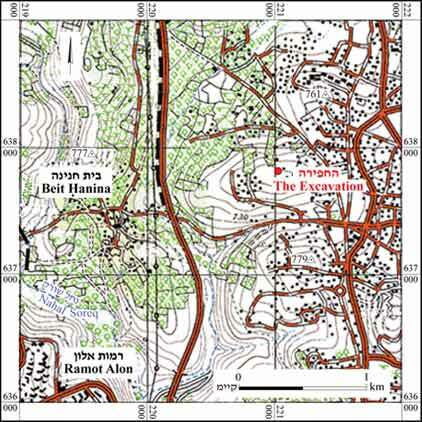 During April–May 2012, a salvage excavation was conducted in the western part of the Beit Hanina quarter in Jerusalem (Permit No. A-6483; map ref. 221029–68/637828–73), prior to construction. 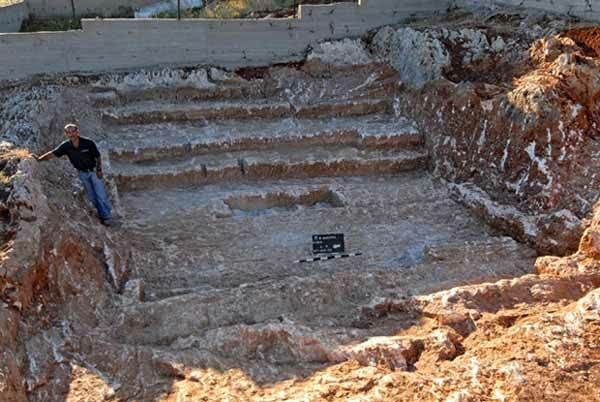 The excavation, undertaken on behalf of the Israel Antiquities Authority and underwritten by the contractor A. Radi, was directed by I. Zilberbod, with the assistance of N. Nehama (administration), A. Hajian (surveying), A. Peretz (field photography) and E. Belashov (drafting). A small maleke building-stone quarry (M) was excavated, the likes of which are scattered across an extensive area along the top of the hill. 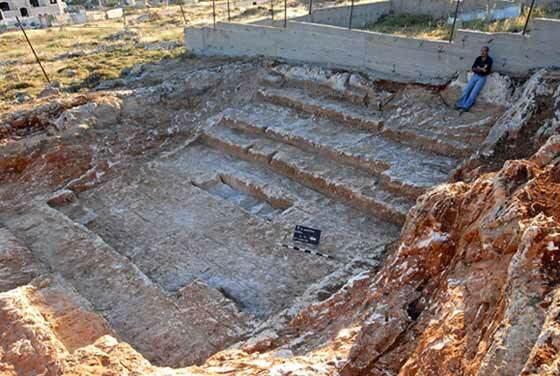 Two excavations were conducted nearby in 2011–2012 and quarries from the Late Roman–Early Byzantine periods were revealed (HA-ESI 124; Permit No. A-6324). 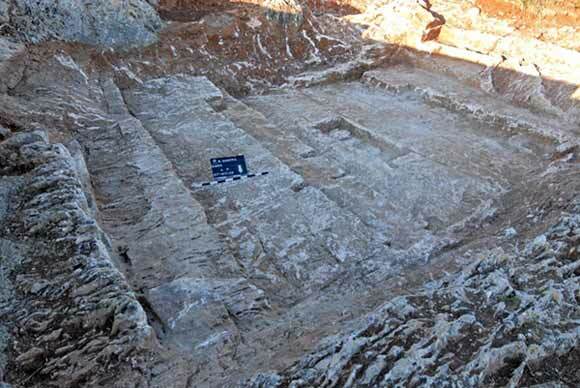 The quarry (c. 8×10 m), on the northern part of the hill, was completely excavated (Figs. 1, 2). Four sides (max. 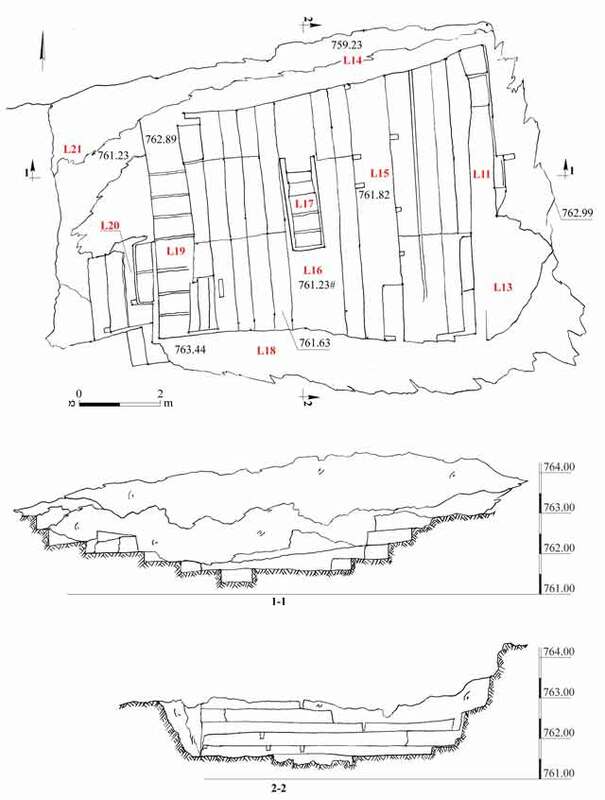 depth c. 2 m) that were hewn in levels (each level c. 0.25–0.35 m deep; Figs. 3–5) were exposed. Three to five steps (L11, L15; max. 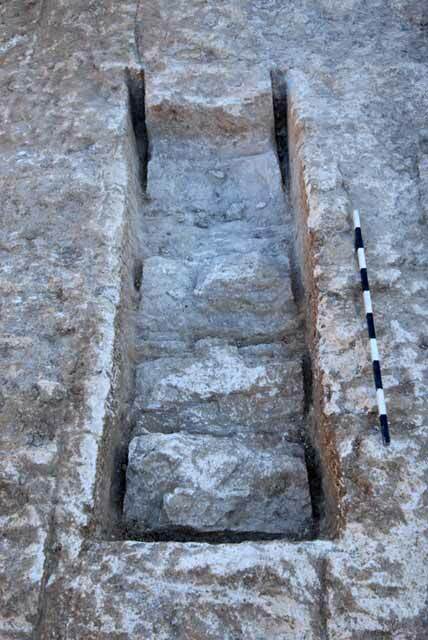 depth 0.4 m) were hewn on the eastern side (depth c. 1.5 m). Modern drillings (diam. 2.5 cm) for inserting explosives were discerned on the southern part of that side (L13). Modern quarrying practically destroyed the northern side (L14), the southern side (L18) where one step (depth c. 0.3 m) remained close to the bottom level of the quarry and the northern part of the western side (L21). Three steps (L20; max. depth 0.4 m) remained in the southern part of the side. On the lowest level of the quarry, in the center (L16; c. 6×8 m; Fig. 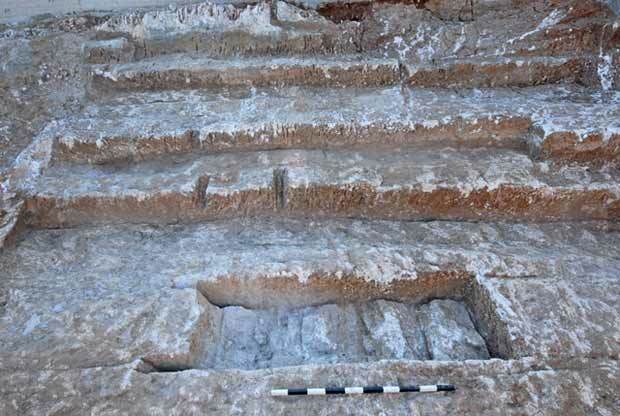 6), was a rectangular depression (L17; 0.3×0.8×2.0 m) whose bottom had negatives of hewn and detached stones (0.4×0.6 m; Fig. 7). Due to the use of the quarry in the modern era, no datable finds were discovered. 2. Quarry M, plan and sections. 3. The quarry, general view to the east. 4. The quarry, general view to the southwest. 5. The quarry, general view to the northeast. 6. The bottom level of the quarry, looking east. 7. A depression in the bottom level of the quarry, looking north.